"Chewie, we're home." That magnificent quote from Harrison Ford is the best quote from Star Wars: The Force Awakens, one of the best films of the year, & one of the best in the Star Wars franchise. The film takes place 30 years after Return of the Jedi. In the past 30 years, Luke Skywalker has disappeared, the First Order has risen & wants Skywalker to vanish, & Leia Organa is searching for Luke. Poe Dameron (played by Oscar Isaac), a Resistance pilot, is trying to find Luke. Stormtroopers under the command of Kylo Ren (played by Adam Driver) capture Poe. Poe's droid BB-8 escapes with a map & finds a scavenger named Rey (played by Daisy Ridley). A stormtrooper decides not to kill Poe & helps free him, & they flee in a stolen TIE fighter. Poe names the stormtrooper Finn (played by John Boyega). They crash, & it appears that Finn was the sole survivor. He encounters Rey & BB-8, & they flee on the Millenium Falcon, but the ship is captured by a larger ship piloted by Han Solo (played once again by Harrison Ford) & Chewbacca. They all escape in the Millenium Falcon & eventually arrive at the Resistance base, where they are greeted by Leia (played once again by Carrie Fisher), C3PO & R2-D2, who has not been working since Luke's disappearance. However, Rey has been captured by Kylo Ren, & Poe has survived. They now have to find Rey as well as search for Luke. 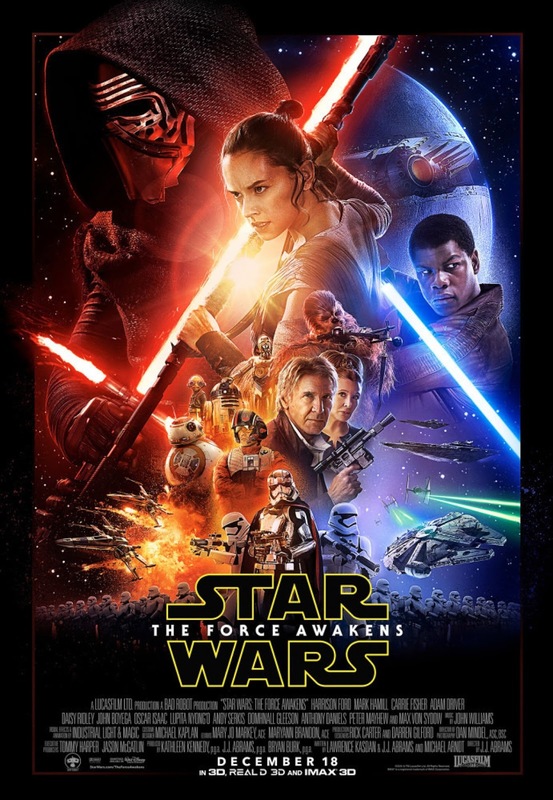 The film was excellent, & it may just be my favorite Star Wars movie. The acting was great, especially from Ford & Fisher, but also from Isaac, & newcomers Boyega & Ridley. The direction from JJ Abrams was excellent, along with the screenplay from Abrams & Lawrence Kasdan. The editing, score, & visual effects were all astounding as well. This is definitely one of the best films of the year.